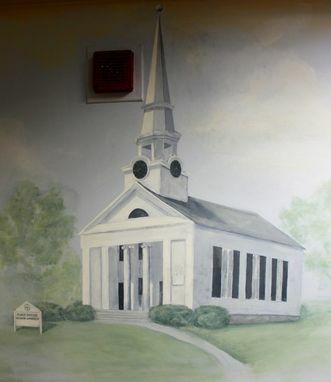 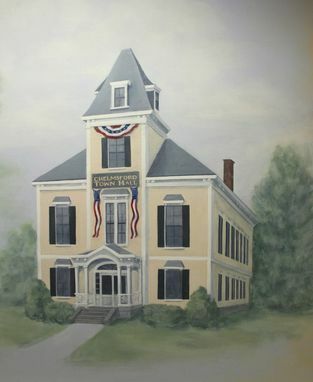 Wall mural painted in a physician's office featuring selected local historic buildings. 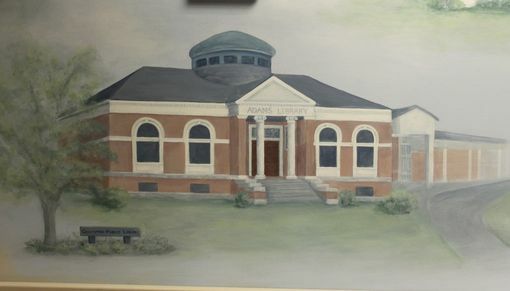 The medium used was acrylic paint and the style is representational based on photographs taken by the artist of buildings identified by the customer. 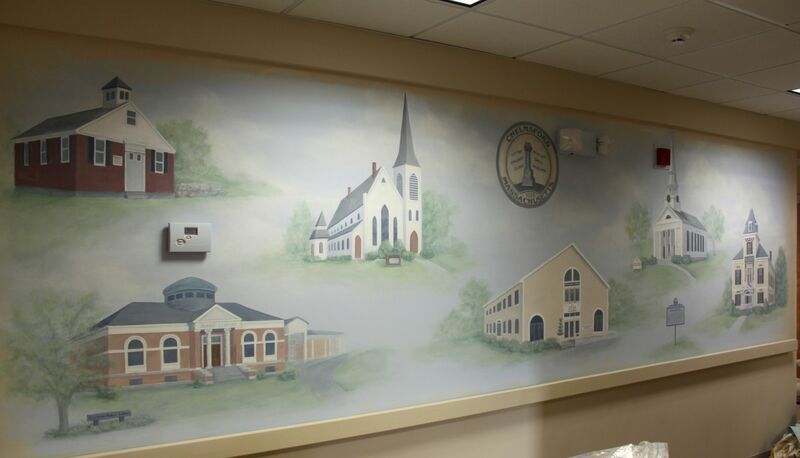 The mural measures 5 feet high by 18 feet long and a small, proportionate painting was created to establish the design and colors to be used.